Participants create a puppet of themselves using a photograph, paddle-pop sticks, pipe cleaners, toilet-rolls and various other materials and decorations. After the puppets are made, participants introduce themselves (through their puppet) to the group and each other and talk about their passions and feelings. 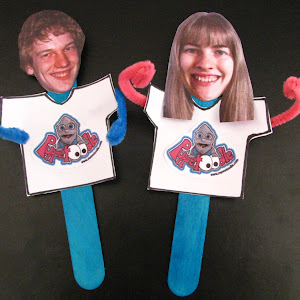 Further workshops with Puppet Me’s can help resolve conflict or can be used in conjunction with further activities. 5-8 years and adult sessions to help create better workplaces/relationships are also available. Schools, libraries, parties, functions, workplaces, community groups, etc.